Licensed since 2005. 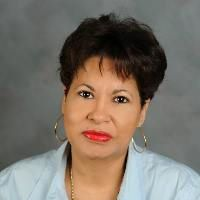 Joanne is a Buyer's agent and her expertise is in 1st time home buyer, primary residences, vacation homes, investment properties as well as in short sale or distressed properties. Joanne is a trustworthy, honest and a successful Real Estate agent with many transactions thru the years. She possesses cross-cultural sensitivity with diverse groups of clients as well as multi cultural background. Joanne is multilingual she speaks Spanish, French and Creole.